After the unanimous and worldwide success of his Touche Éclat, this miraculous pen-brush which banishes in a few seconds all the shadows and signs of fatigue from your face, Yves Saint Laurent has just launched the same miracle for the eyes: the Eye Colour Touch Pen. With this pen, no more scattering and smudging but only luminous eyes thanks to long-lasting colours. First of all, before starting making up, don’t forget the Clarins Beauty Flash Balm, the secret of instant radiance. Ideal for any skin type at any time, this product will erase all your signs of fatigue immediately. For your skin, choose the Yves Saint Laurent Radiance Smoothing Foundation to smooth away imperfections with a luminous finish, or adopt the Perfect touch foundation again by Yves Saint Laurent, to recover the perfection and radiance of your baby skin. Then you, of course, must have the Touche Éclat, that doesn’t need to be introduced again. For your eyes, prefer Laura Mercier Eye Brown Powder Duo or Yves Saint Laurent Eye Shadow Duo for luminosity and radiance combined with a natural effect. And do not hesitate to try the newly launched Eye Colour Touch Pen. Then use Christian Dior DiorLiner or Lancôme Art Liner for a precise contouring and a flawlessly clean line. For Mascara, you can choose among loads of great products such as the Lancôme Hypnose Custom Volume Mascara, Christian Dior DiorShow or Estee Lauder Projectionist Mascara. And for your lips, you must have the unbeatable Chanel lipstick Rouge Allure, even if you could, for some occasions, prefer a less flashy-colour one such as Laura Mercier Lip Colour or Estee Lauder Hydra Lustre Lipstick. 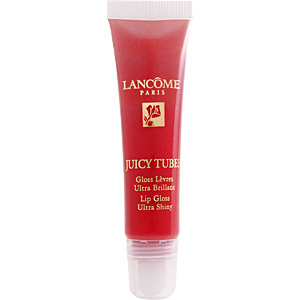 Finally, if you are not so keen on lipstick and prefer wearing a simple touch of gloss, choose for example Laura Mercier Limited-Edition Liquid Crystal Lip Glace or, for even more, fun try the Lancôme Juicy Tubes, a lip gloss ultra shiny with a delicious fruity flavour. So here were our tips for a glamorous, but not less natural, makeup.